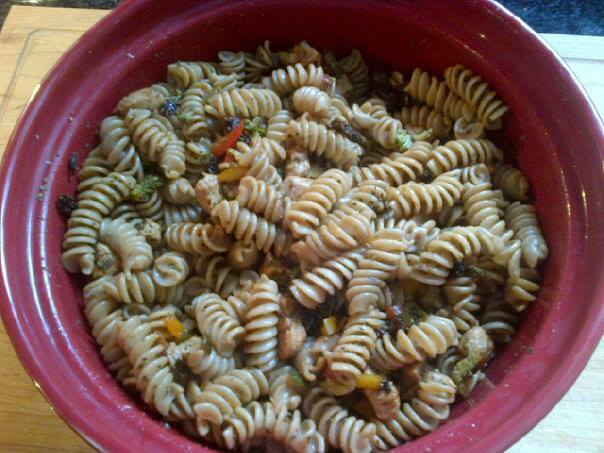 Delicious pasta with chicken, sundried tomatoes, peppers of all colors, broccoli, mushrooms, cherry tomatoes with Tuscan Herb Olive Oil and Black Mission Fig Balsamic Vinegar from COASTAL OLIVE OILS!! Sooo yummy!! Thanks to Tasha W. for this wonderful recipe! What Makes An Olive Oil Stand Out from the Competition? Website Development and Design by NetClimber Web Design. | All Rights Reserved. Copyright © 2013 Coastal Olive Oils.